10g pot of coloured acrylic powder Pre-mixed and ready to use The powder is specifically designed and manufactured to be used with any brand monomer/liquid - prep and prime nails as usual - it is recommended you start with a thin layer of clear acrylic (file and shape to create a good base for the coloured acrylic) this makes a colour change easier - apply the coloured acrylic - finish, file and top coat as usual! For professional use only Any questions, please ask! Thanks for looking! Perfect for fades, blends and designs. LARGEST RANGE ONLINE - CHOOSE FROM EVERY CRYSTAL SHAPE, SIZE & COLOUR MADE BY SWAROVSKI®. SWAROVSKI Crystal Flat Backs: NO HOTFIX: Crystal, Crystal AB & Jet: ALL SIZES. Sibel Nails 1000 x Lint Free Off The Roll Nail Wipes (Cellulose Wipes) This jumbo size pack has 1000 wipes in it and each wipe measures 40 x 50mm These professional lint free wipes are an essential for the nail salon. There are two rolls in a pack 500 wipes on each roll so a massive 1000 wipes in total. The wipes can be removed easily by a simple tear off the roll keeping the rest of the roll neat and tidy for you when you need it next. They can be used for a multiple amount of uses so not just for nails. Key Details: Pack Size 1000 Cellulose Squares (2 Rolls of 500) Each "Square" measures 40 x 50mm Professional quality Easy tear roll. Between the natural nail and the nail tip. 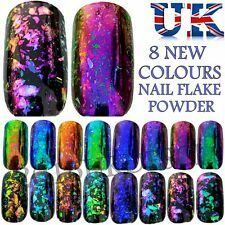 NEW NEON NSI ACRYLIC POWDERS SET OF 6 - LARGE 5g POTS UK SELLER!!!!!! NSI ACRYLIC PRE MIXED POWDER. YOU ARE PURCHASING 6 x NEON LARGE 5g POTS. BUY OVER £50 OF POWDERS AND GET 1 FREE. THIS SALE IS FOR 10 GRAMS PER BAG. ALWAYS GIVE THE POWDERS A LITTLE STIR BEFORE USING THE POWDERS WITH GLITTER TO ENSURE EVEN LAYER THROUGHOUT. ALL ARE HAND MIXED. 4g pot of coloured acrylic powder. - apply the coloured acrylic. Also available in a 10g pot for £4.99. Glitterama deep plum coloured acrylic powder. Prep nails as normal, use a thin layer of clear acrylic then the coloured acrylic on top - this makes a rebalance much easier. Perfect for fades, blends and designs. TOOLS & THREADS. LARGEST RANGE ONLINE - CHOOSE FROM EVERY CRYSTAL SHAPE, SIZE & COLOUR MADE BY SWAROVSKI®. Super-fast Dispatch. PRECIOSA CRYSTAL CZECH GLASS SUPER DUO SEED BEADS 2 HOLES MANY COLOURS. BUY OVER £50 OF POWDERS AND GET 1 FREE. THIS SALE IS FOR 10 GRAMS PER BAG. ALWAYS GIVE THE POWDERS A LITTLE STIR BEFORE USING THE POWDERS WITH GLITTER TO ENSURE EVEN LAYER THROUGHOUT. MANY MORE COLOURS AVAILABLE. 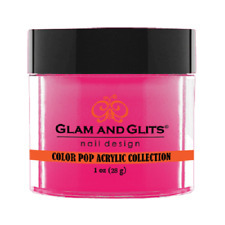 Choose from our extensive range of Glitterbels acrylic powders for nails. Glitterbels Glass Slippers is the perfect clear to cap your coloured Acrylics, Glitters, or if you want to create the “Glass Nail” effect. 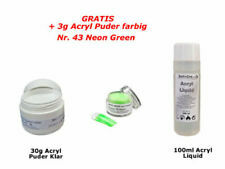 NSI ACRYLIC PRE MIXED POWDER. YOU ARE PURCHASING 10 LARGE 5g POTS. ALL VERY POPULAR COLOURS. MIRROR BALL. ANITIQUE BROACH. BUCKS FIZZ. • BEAUTIFUL & COLOURFUL. • SET OF 8 VARIOUS LUMINOUS COLOURS. • BRIGHT NEON ACRYLIC POWDERS. 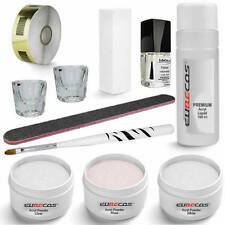 Perfect for fades, blends and designs. LARGEST RANGE ONLINE - CHOOSE FROM EVERY CRYSTAL SHAPE, SIZE & COLOUR MADE BY SWAROVSKI®. Super-fast Dispatch. SWAROVSKI Crystal Flat Backs: NO HOTFIX: Crystal, Crystal AB & Jet: ALL SIZES. BUY OVER £50 OF POWDERS AND GET A 10G BAG FREE. THIS SALE IS FOR 10 GRAMS PER BAG. ALWAYS GIVE THE POWDERS A LITTLE STIR BEFORE USING THE POWDERS WITH GLITTER TO ENSURE EVEN LAYER THROUGHOUT. MANY MORE COLOURS AVAILABLE. BUY OVER £50 OF POWDERS AND GET 1 FREE. ALWAYS GIVE THE POWDERS A LITTLE STIR BEFORE USING THE POWDERS WITH GLITTER TO ENSURE EVEN LAYER THROUGHOUT. MANY MORE COLOURS AVAILABLE. BUY OVER £50 OF POWDERS AND GET 10G BAG FREE. THIS SALE IS FOR 10 GRAMS PER BAG. 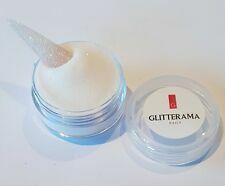 ALWAYS GIVE THE POWDERS A LITTLE STIR BEFORE USING THE POWDERS WITH GLITTER TO ENSURE EVEN LAYER THROUGHOUT. MANY MORE COLOURS AVAILABLE.